There seems to be some confusion on the subject of whether emails or links are permitted in signatures and in posts. SPAMBOTS as well as others can collect these, your email is stored on our system and if someone sends you an email through the FRN website you wil be notified from where it came. If it is determined that a link does not meet the above qualifications it may be deleted without an explanation. 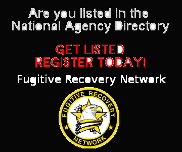 It is understood that all links appear at the discretion of Fugitive Recovery Network and its staff. If it is determined that permitting the posting of links gets out of control or is abused, Fugitive Recovery Network may revoke the privilege. I will reiterate that the reason it is not recommended to place emails within a post - is for the Members protection to avoid detection by "spambots." One specific type of spambots are created to harvest e-mail addresses from material found on the Internet in order to build mailing lists for sending unsolicited e-mail, also known as spam. These spambots are web crawlers that search the Internet for the purpose of gathering e-mail addresses from Web sites, forums, newsgroups, special-interest group (SIG) postings, and chat-room conversations. Because e-mail addresses have a distinctive format, spambots are able to easily detect and collect email addresses. NOTE: there are several techniques used to avoid detection by spambots. 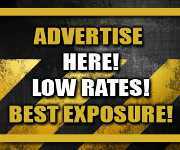 I have incorporated some of these techniques on this site, so that the spambot cannot acquire members email addresses. Placing your email address in your post(s) negates these techniques and leaves you vulnerable to your email being collected and placed into multiple spam mailing lists. While, there is not a specific rule that email addresses are not permitted, again it is for your protection. I have supplied a place within your profile (accessed via user control panel) Please make certain that this is a valid email address as well. Additionally, links to your website(s) can be provided in your profile. I hope this explanation helps clear up any confusion or misunderstandings. Some people may have noticed that their previous posts were altered, i.e. - the removal of email links. This was done by me for your protection.